Once you’ve spotted an opportunity for a new business, you’ve planned thoroughly, and you have funding in place to get started, all that remains is to launch your new idea into the world. Not every business succeeds, and, in fact, the majority fails, never really taking off or falling by the wayside after a period of trading. For those who manage to survive the first test, it next becomes a case of trying to grow the business. Growth, no matter the current size of your business, is a worthwhile objective. By growing the size of your business, you can make a difference to more people than before, driving revenues and profits upward in the process. To take a business and expand it in a measured, controlled way takes a degree of managerial discipline. You need to know where you want to go with your business, and how you intend on getting there in both the short and the long run. One of the key components to growth is developing an effective human resources model. Finding good staff is one of the major challenges in any business, and people often fall short of the expectations of their role. With a strong hiring policy in place, it can be possible to weed out the no-hopers while giving a platform for the best candidates to shine through. When you are looking to hire, you need to know what kind of person you are looking for, and responsibilities and expectations of the job they will fill. Drawing these up as a matter of policy, if you haven’t done so already, removes the potential for subjective elements to influence the hiring decision. If you know the type of person you need, and the type of job they will perform, the interview process becomes more accountable and more targeted for the results you are chasing. Make sure everyone involved in the recruitment process understands the type of person required, and the skills and attributes they should possess. This blog by Fisher Careers has more information on hiring. There are plenty of people applying for jobs, but depending on the position you want to fill, not many with the capabilities and skills to perform it well. Many employers recommend creating a tiered interview process, where candidates go through one or two rounds of interviews before being offered a position. Depending on the type of job, and the importance of securing the right person, this type of approach can be highly effective in getting a better sense of an individual’s personality and abilities. Both interviews should focus on different types of questions, and again objective criteria should be drawn down so you can factually compare candidates without bias after they have left the room. Never be afraid to go for a multi-disciplinary approach to your hiring. 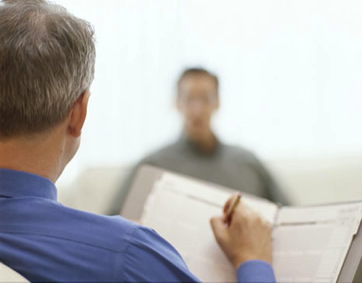 Finding the right candidate would be easy if the qualified were also the best if resumes told the truth, and if interview sessions were capable of uncovering a person’s true abilities and identity. But in reality, things don’t work this smoothly. If your business is paying someone a wage, for any job, you have to make sure they are earning it. A multi-disciplinary approach, using aptitude tests, team exercises and a variety of other interview methods, will help you decide who is most suitable for a given role. Hiring anyone is a challenge, particularly when you don’t know their abilities, skills and personalities. For much of business success, softer skills are crucial – from their ability to communicate effectively with team members or clients, through to having the skills to operate a computer or conduct a phone call. These are not usually the skills people brag about on their CV, but often it is what a person is like, rather than what they have achieved, that makes them a good hiring choice. Devise a hiring policy that looks to examine for these skills, and you will end up securing the employee best suited to your business. The personnel you hire is absolutely central to the effectiveness or otherwise of your business. When jobs are being passed down the line from management to staff, you need to have the confidence that this same staff has the ability and drive to represent your business in the best possible way. This is an essential part of bringing scale to your business, and something that needs to happen in order to give your company a fighting chance of a successful expansion.